Bluecomet and 4 Guests are viewing this topic. Does anyone know if the Givi rear rack for the 1200 also fits the 1250? 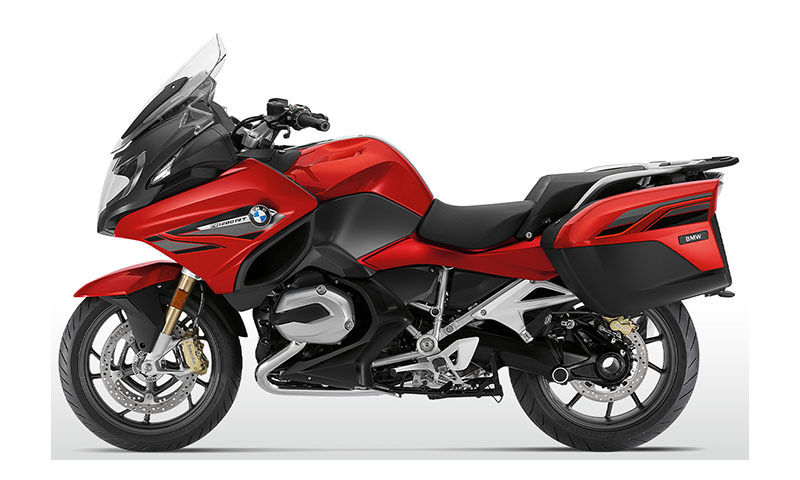 the BMW Luggage grid parts are the same on both bikes. Also the Avant front fender extender. Likewise, the front fender is the same on both bikes. Haha ) . I had planned on taking that part off because I think it actually detracts from the bike. However, I will have to wait and see what it looks like with that 'spoiler' removed. I haven't decided if i'm actually going to get one (a 1250) anyway! These new plastic bits also funnel mud onto the engine! Thats progress. Whereas, the fender extender keeps crap off the engine. 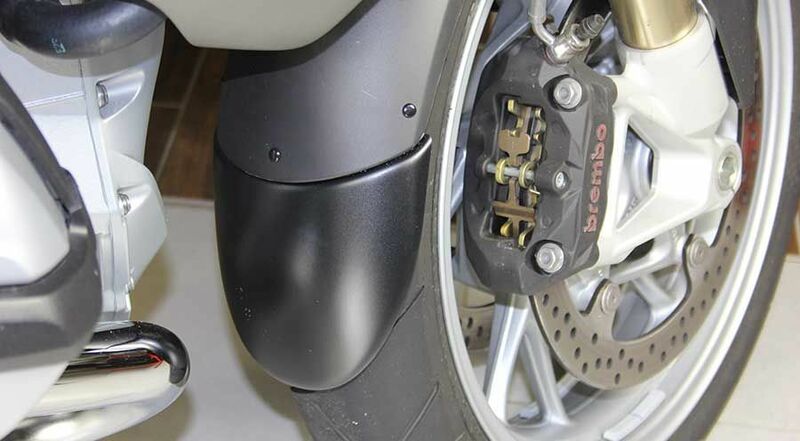 Bought the Givi SRA 5113 from Wits on this forum (fits perfectly) ordered the Hornig fender extender as this seems to be the only one currently available. Nippy Norman’s list the Avant in the R1250RT section but doesn’t confirm it fits in the model fits section. I didn’t think it would have enough clearance so didn’t take the chance. 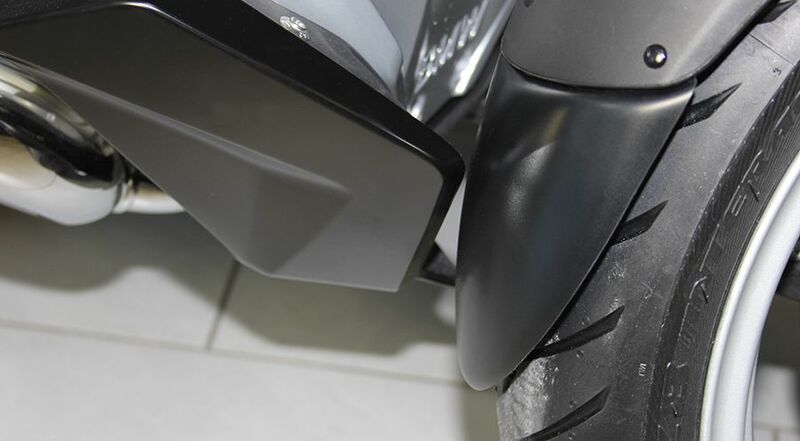 Concerning the Fender Extender, I have a R1250RT & my Pyramid Plastics R1200RT Fender Extender will not fit! Ordered the Hornig fender extender as this seems to be the only one currently available. The code number of 054236 is the same for Pyramid & Hornig products, they're probably the same manufacturer. Unlike Pyramid, Hornig show two different photos of the "same" Extenda Fender" fitted to both the 1250 & 1200 RT's. Hornig are a Pyramid Plastics Dealer, https://www.pyramid-plastics.co.uk/trade.html, scroll down to Germany & click on the Motorrad Zubehor Hornig GmbH link. I fitted the Pyramid front fender extender to my R1250RT a few days ago (bought it from Hornig - didn't know it was made by Pyramid until it arrived - its made of ABS). I didn't use he supplied rivets or sticky pads but stuck it on with black Sikaflex, a marine sealant/adhesive which is incredibly strong and cured overnight (clamped it together whilst it set). I rode the bike for about 90 miles the next day on mucky roads and in heavy rain and, unfortunately, the fender extender didn't do much of a job at protecting the front face of the engine. There was less road rubbish than without the extender and it didn't go quite as far up the front of the engine but there was still lots of rubbish to clean off. Its nowhere near as good as the MachineArt extender I had on my R1200RT (which won't fit on the 1250) which was longer and broader and worked well. Basically, it seems the Pyramid version is too short and narrow to be effective. I'm going to experiment with flexible brush seal to lengthen and broaden the extender to, hopefully, provide the spray attenuation you see from truck mudguards. A couple of people have transferred their Avant extender (from NN) onto the 1250. Clearance is tight - mm but it does fit. I'm going to try mine when I get my bike the beginning of April to see if he clearance is acceptable. Let us know how you get on. The Hornig extender is pretty useless and I am considering removing the front trim pieces and fitting the Avant version. I also have the wunderlich protection plate fitted and it’s helping but struggling with the amount of spray coming at it.